Over the last two years, the United States national anthem has been at the center of some pretty heated debates surrounding racial inequality, human rights, and patriotism. After the National Football League (NFL) recently announced a policy mandating players “stand and show respect for the flag” during the anthem, those discussions once again amplified. San Francisco 49ers quarterback Colin Kaepernick started the conversation when he sat, then knelt, during the national anthem prior to NFL games in 2016. Kaepernick’s actions—the latter at the suggestion of a former U.S. Green Beret—were to bring awareness and change to civil injustices and racial inequality that have plagued the United States. Since then, the demonstrations gained traction not only in the NFL, but across America as scholastic, amateur, and professional athletes “took a knee” during the playing of The Star-Spangled Banner, drawing the ire of President Donald Trump. According to a recent Yahoo Sports/YouGov poll, 53 percent of NFL viewers said they support the league’s new anthem policy, with 32 percent opposing. 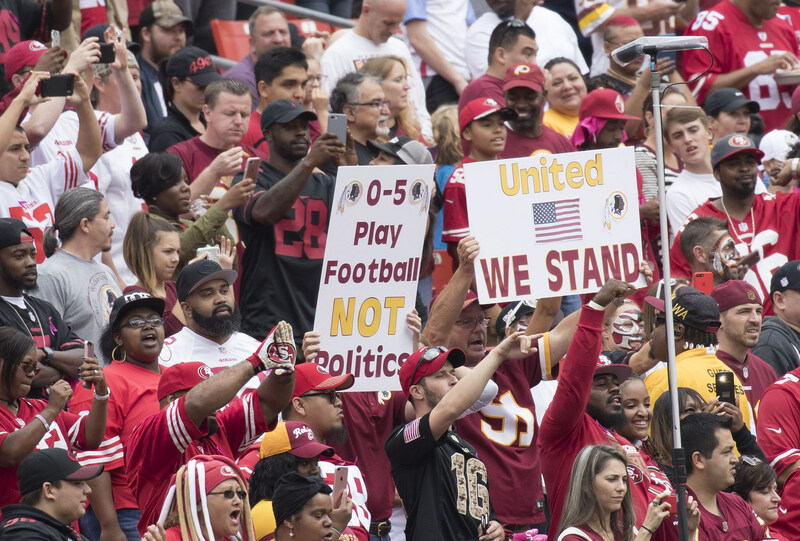 Fans have voiced their opinions for and against the player demonstrations on social media and at games by holding signs addressed to the league, teams, and players. The XFL, an alternative football league set to launch in January 2020, will also require its players to stand for the national anthem. 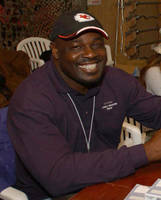 Okoye, a two-time Pro Bowl selection and 1989 AFC Offensive Player of the Year who rushed for 4,897 yards and 40 touchdowns in six season (1987-92) with Kansas City, says the message has been lost based on a lack of conversation between all parties involved. Nicknamed the “Nigerian Nightmare,” Okoye also believes current free agents Kaepernick and Reid—the first to start the demonstrations—are being blacklisted from the NFL by owners. Bring Your Kit to Work Day, scheduled for June 14, is an initiative to help raise awareness for the 150 million children around the world living on the streets. Participants are encouraged to wear a soccer jersey for the day and share a photo on social media, asking others to do the same. A freak eye injury forced Michael Olajide Jr to cut short a promising professional boxing career. Since retiring in 1991, he has taken his workout regime and talents into the fitness world, becoming one of the most-renowned celebrity trainers on the planet.